Background: Renal cortical scintigraphic studies challenge the role of vesicoureteric reflux in renal scar development, emphasizing instead the part played by acute pyelonephritis. Objective: To determine the prevalence of renal cortical defects in a child cohort 2 years after the child’s first diagnosed urinary tract infection and to analyze the relationship of these defects with acute illness variables, primary vesicoureteric reflux and recurrent infections. 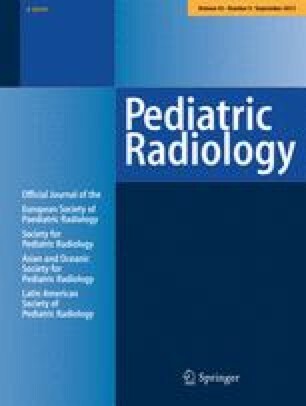 Materials and methods: In a prospective cohort study, 193 children younger than 5 years with their first proven urinary tract infection underwent renal sonography, voiding cystourethrogram, and renal cortical scintigraphy within 15 days of diagnosis. Two years later, 150 of the 193 children, or 77.7%, had a further renal cortical scintigram, including 75, or 86.2%, of the 87 children who had acute scintigraphic defects. The relationship of cortical defects to age, gender, pre-treatment symptom duration, hospitalization, presence and grade of vesicoureteric reflux, and recurrent urinary tract infections was evaluated. Results: Overall, 20 of the 150 (13.3%; 95% confidence interval (CI) 8.3, 19.8) children had persistent defects 2 years after infection. This included 20 of 75 (26.7%; 95% CI 17.1, 38.1) with initially abnormal scintigrams. No new defects were detected. 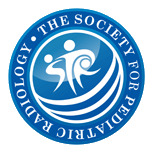 Although acute defects were more common in the young, those with persistent defects were older (median ages 16.4 vs. 6.8 months, P=0.004) than those with transient abnormalities. After adjustment for age, persistent defects were no longer associated with gender and were not predicted by acute illness variables, primary vesicoureteric reflux or recurrent infections. Conclusions: Renal cortical scintigraphic defects persisted in approximately one-quarter of young children after their first proven urinary tract infection. The associated clinical features, however, failed to predict scar formation. It is possible that some of the scintigraphic defects preceded the infection by arising from either previously undiagnosed acute pyelonephritis or from underlying congenital dysplasia. The etiology of scars may be best addressed by determining whether prevention of urinary tract infections from birth avoids post-natal scar acquisition or extension.